Which type of Greek property will you buy? Greece doesn’t just offer a dizzying range of locations, from island paradises to exciting cities; it has a wide choice of properties too. So will it be a gorgeous Italianate townhouse on the harbourside, a trendy Athens apartment, a sun-drenched villa in Santorini…? Greece has always been a popular holiday home destination with the British, thanks to the unspoilt islands, the rustic villas, the sandy beaches, weather and the gorgeous views around much of the country. It’s true that the bureaucracy in the country can be a minefield, making things take longer than perhaps necessary, but at least lower prices than many other Mediterranean hotspots means that you can employ professionals to speed up the process. Are you looking for a busy and active life in Athens? A relaxing beach life in Sporades? An ancient tower converted into a modern manor house in the Peloponnese? 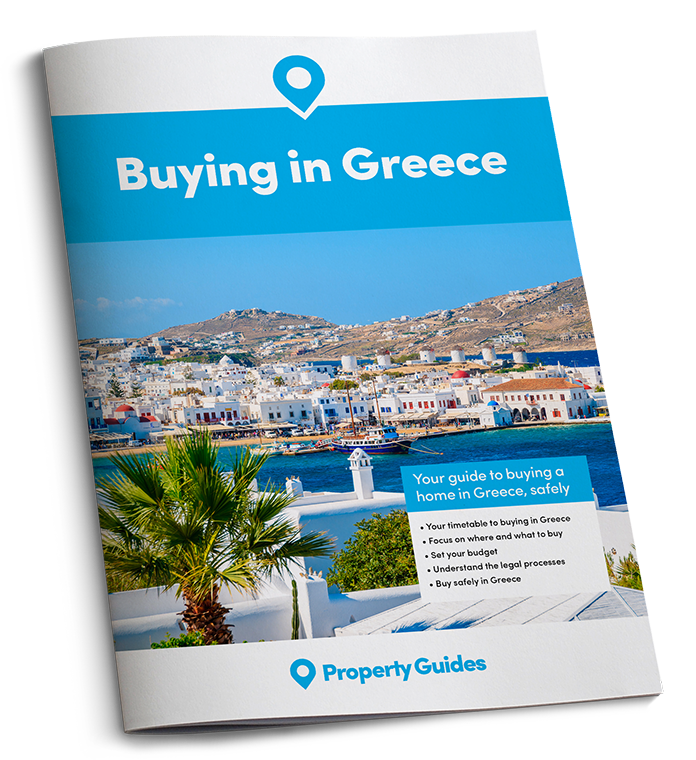 When you begin seriously to think about buying property in Greece, one of the first matters you need to nail down is the kind of property to buy, the locations that you will find each type in, and the key features of each type of home. Of course, what you are looking for will very much depend on the life you want in Greece. Are you looking for a busy and active life in Athens? A relaxing beach life in Sporades? An ancient tower converted into a modern manor house in the Peloponnese? Here we explore these options and many more besides. 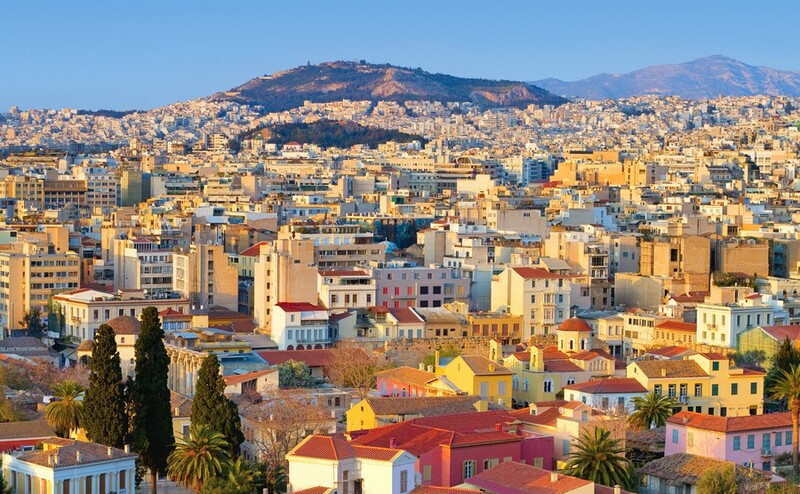 A leafy, colourful neighbourhood in Athens. Life in Athens is life in the centre of Greece. While you can purchase a luxury penthouse for millions, you can also find an apartment barely into five figures. You do get what you pay for in terms of location, neighbours and property maintenance, however, but you can also find nice and central apartments for less than €100,000 – such as this two-bedroom apartment in Haidair, in the western part of the city. 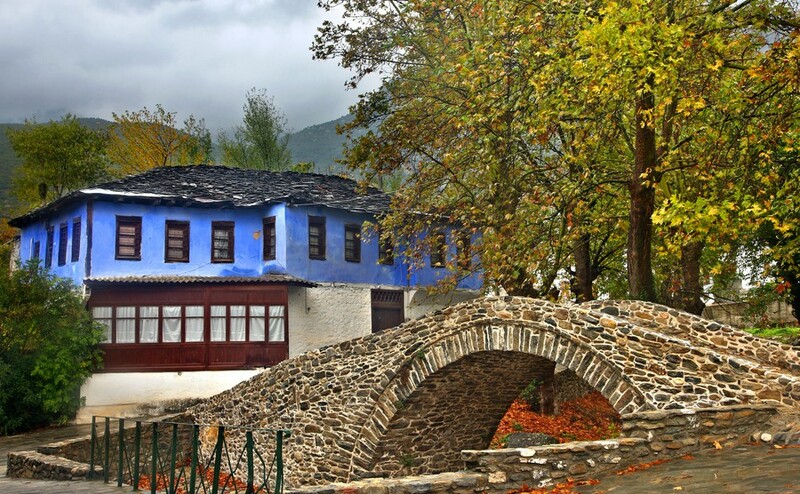 It is close to pine forests and Daphni Monastery. Generally these properties will have a balcony for outdoor space. You may prefer to purchase a top floor apartment as these will usually be quieter than other properties in the building (which usually means they come with the highest price tag as well). There are so many benefits to living in Athens itself, from its position as a safe city (33rd in the world in the Safe Cities Index 2017, and 12th in Europe) to its great nightlife, shopping and dining, yet still with a peaceful lifestyle possible in quiet neighbourhoods. You can get there so easily all year too. Popular across the country in both towns and villages, townhouses come in different forms – for example, as a terraced house or as part of large property development. These may well come with some form of small garden, and if part of a housing development, there will usually be communal gardens and/or a swimming pool. 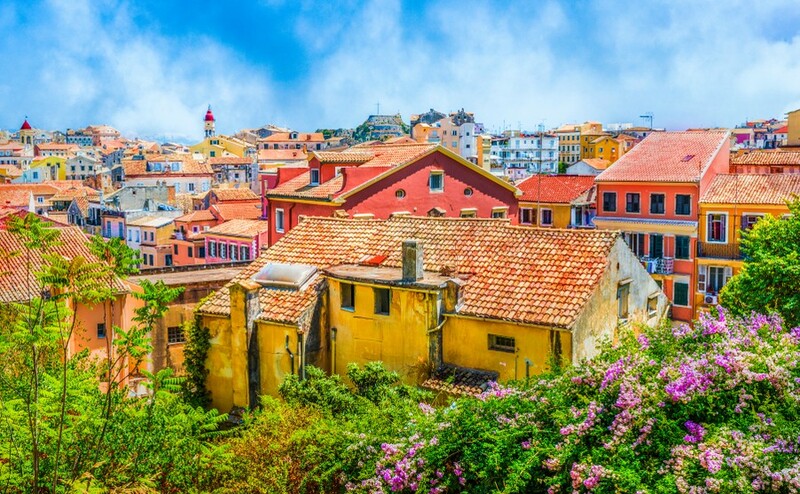 Look out in particular for the beautiful Italianate/Venetian-style homes around harbours such as Chania in Crete and Kerkyra in Corfu. Many people who move to Greece do so to experience that Mediterranean lifestyle – relaxing by the beach in the hot sun in the long summer, relaxing into the night over the scrumptious Greek food, and living that traditional Greek life. Greece has so much beachfront among its 200-plus inhabited islands that you are spoiled for choice. You have to be aware of how you will get there in the off-season (if you wish to), but even in the most popular islands like Santorini, which you can reach all year, there are amazing beachfront houses for under £100,000. If you are ready to buy in Greece, you’ll have a few financial matters to sort out. For advice on getting the best currency deal download the Property Buyer’s Guide to Currency. Beachfront properties can come in many different shapes and sizes. Many property buyers from the UK look for a holiday home in an apartment complex a stone’s throw from the beach or a villa complete with its own pool. Apartments are popular as they are easy to look after and easy to rent out in the summer. The less positive side of apartments is that they don’t usually come with a garden, and many will come next to tens of identikit others – but given the affordability and the proximity to the beach, does any of this matter? For many, moving to a remote part of Europe to renovate and resuscitate an old country house is the dream, and Greece is one of the most popular places to do this. Across the country you will find many different properties needing varying degrees of work – from those which just need a little bit of redecorating to those that need a new roof and structural repair to the walls. The islands of the country are particularly good for renovation projects, such as Crete, Corfu and Kalymnos. Why not embrace your fantasy side and live out your Grecian dream in a converted castle, tower or manor house? Why not embrace your fantasy side and live out your Grecian dream in a converted castle, tower or manor house? These will need a lot more work than your average renovation project, but this could be worth it to live out your dream! What is important to remember though is that no matter the size of your renovation project, you must consult the right experts to help you through this project. Make sure you know exactly how much your tradespeople will charge before you sign the agreement. Do be aware too, of requirements for earthquake proofing in vulnerable areas. True, if it’s old and still standing that bodes well, but don’t take anything for granted! A benefit of renovating these old country properties is their appeal as a holiday home for tourists. While it may take a bit of work, you can reap the rewards by renting the property out. A location in the countryside can offer more scope for year-round rental than beachfront properties that are generally only popular in the summer months, but do check conditions in the winter – Greece can get very cold. 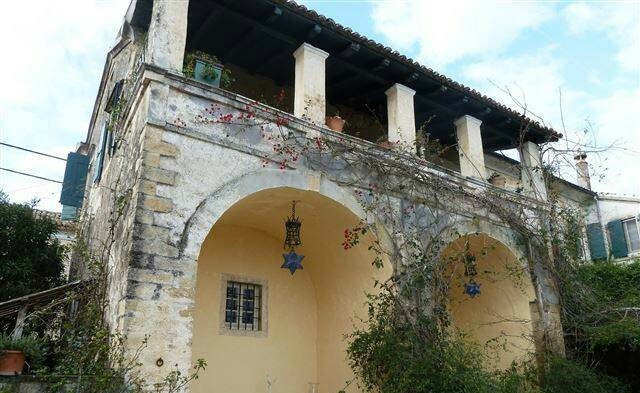 Should you decide that once you have finished renovating your property you are ready to sell and move on to your next project, you may well achieve a premium price for your property – such as the gorgeous Kaligas Manor House in Corfu (below), for sale at €2.9 million. This is a fully restored 16th century manor house with three bedrooms, sea views and the potential for further expansion. Villas are particularly popular with families moving to Greece. In addition to the beach properties previously mentioned, you can find villas in most other places across the country – in towns, in housing developments and even out in the country. As a bigger property than a townhouse or an apartment, they are of course more expensive. But you will usually get a lot more for your money – such as larger gardens, a pool, storage, space for an office or studio (or shed!). For example, this two-bedroom villa in Chania in Crete costs €220,000 and as well as its own private pool, roof terrace and gardens, there are all sorts of cosy crannies and shady nooks, under the olive trees and around the pool and barbecue area. It’s a short drive from the beach. Crete is one of the biggest markets for overseas buyers in Greece, thanks to the glorious weather, the low crime rate, friendly people and beautiful scenery. It is becoming increasingly popular to buy properties to rent out in the urban areas where young people are starting their adult lives, such as Athens and Thessaloniki. However, it is important to remember that there are more laws in place when buying a property specifically to rent out – the Greeks are determined to stamp out tax avoidance, especially where it takes away from the existing hotel industry, such as Airbnb. You must have an EOT (Elinko Organismo Tourismo – the Greek National Tourist Organisation) licence and there are conditions attached to this. If you wish to let a flat, for example, then all properties in the building must apply for the licence; to rent out a house, this must have its own private access. There are a number of different categories under this licence, so it’s a good idea to look into this in as much detail as you can before you go ahead. It’s also important to remember that there are large fines levied if any of the conditions of the EOT licence are not adhered to. No matter what you are looking for in Greece, you are likely to find your dream property type here. What’s more, you are also likely to find a property to suit any budget – from a seven-bedroom villa in Saronida with a five-bedroom main house, a two-bedroom secondary house, an independent bath house, swimming pool and amazing sea views, on sale with Rightmove for €22 million to one bedroom house in Evvoia for €15,000 in a quiet area just 10km from Halkida. No matter your taste, you are sure to find your dream property somewhere on Greece.